Kitchen sink sprayer problems are much common these days. The more people own these kitchen appliances, the more the likelihood of reporting various problems that are associated with them. In my investigation, I realized that a kitchen sink sprayer is an important component of a kitchen sink in the contemporary world. Now that many people own them, it is important that we understand the common problems that are likely to affect the working of this important kitchen tool. If you have the ability to identify these kitchen sink sprayer problems, you can easily find a solution. Kitchen sinks, faucets, cartridges, sprayers and any other equipment you use in your home will always develop maintenance issues. Due to repeated daily uses, exposure to chemicals, and cleaning water, kitchen sink sprayers are bound to develop issues. You need shun taking a kitchen sink sprayer for granted because whenever it develops issues, you will realize how important it is to you. The good news is that you will not require the services of a professional plumber to address some of these maintenance issues. If your kitchen sink sprayer is malfunctioning, you can easily repair it. In connection with this, the most important aspect of the entire procedure is to correctly diagnose the problem. 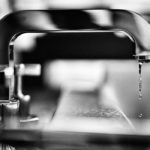 In this post, we will explore the common kitchen sink sprayer problems and how you can solve them. 6 How Do I Repair A Kitchen Sink Sprayer? Start by examining the issue at the kitchen sink sprayer’s tip. Mostly, mineral deposits that are found in water are stuck in this area. Such mineral deposits will be responsible for water-splashing and will obstruct its streamline flow. If you notice that there is a decrease in water pressure streaming out of the sprayer, mineral deposits could be the cause. At the end of the kitchen faucet, there is an aerator which consists of some small holes. When some of these aerator holes are blocked by the mineral deposits, they lead to low water pressure. You will realize that the streams of water are not getting emitted uniformly. Given this, a lot of pressure will be exerted on the faucet and this is likely to cause even further problems such as leaks. The reality is that it is always easy to inspect the aerator whenever it develops some issues. You can manually check whether the aerator has some blockages. If you realize that the faucet sprayer has these issues, you can easily clean it. All you need is a mild soap and a brush and you get the problem solved. If the problem is not in the aerator, you will need to inspect the other components of the sprayer. Any kitchen appliance that is regularly utilized is subject to damages through wear and tear. A kitchen sink sprayer has to be twisted and stretched when in use. Such actions make it bound to normal wear and tear. With time, the sprayer hose may develop splits, kinks, and other damages which will ultimately make it stop working. Sometimes, this damage on the hose is noticeable when the water starts to stream from the sprayer at low pressure. You can perform some visual inspections to identify the issue. If you can’t notice the problem, remove it and scrutinize it closely until you identify the source of the issue. A diverter is the backbone of the kitchen sink’s sprayer. It controls the functions that are done by this simple kitchen appliance. Basically, a diverter splits the flowing water so that it can reach the faucet. Immediately this part starts to malfunction, you will easily detect. There will be a reduction in water pressure, and sometimes, the water won’t flow at all. Mostly, a diverter will be affected by damage or a clog. In case the diverter is clogged, you will need to clean it so that you can solve the issue. If the problem is not concerning a clog, perhaps, it is damaged and you will need to replace the diverter. That is how you eliminate the malfunctioning diverter. A kitchen sink sprayer is bound to suffer clogs that are as a result of mineral deposits and debris that are found in water. If this is the problem, you ought to thoroughly clean your kitchen sprayer so that it can function efficiently. For complete thorough cleaning, you need to disassemble the whole sprayer unit and clean every single part. Use white vinegar and an old toothbrush to effectively perform the cleaning process. If some kitchen sink sprayer components become loose, this will make the entire structure leaky. The same problem of loose fitting will lead to decreased water pressure. 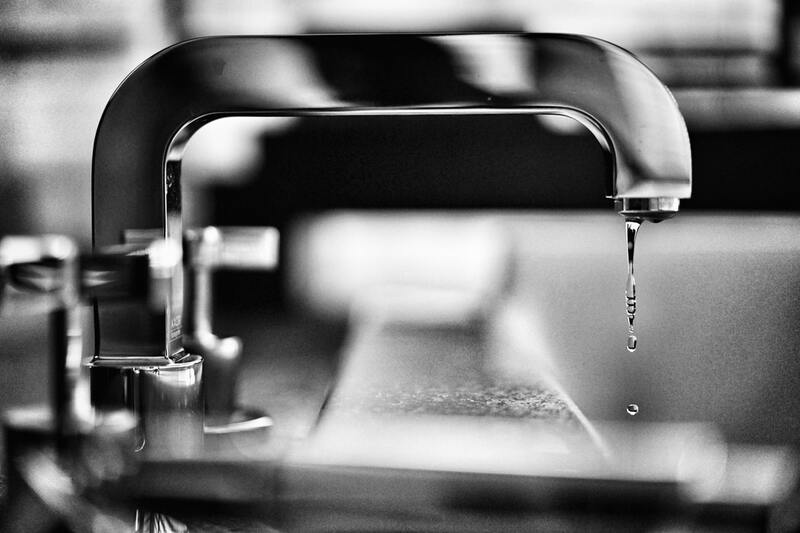 Since some water will be emitted via the leaking space, very little water will be produced through the hose connected to the kitchen faucet. Such an issue can easily be solved by tightening all the available fasteners. You can also consider wrapping some PTFE around the bolts and screws. How Do I Repair A Kitchen Sink Sprayer? If you follow the following simple steps, you should effortlessly repair your kitchen sink sprayer. Beneath the sink, shut off the supply of both cold and hot water. First, shield the chrome cap with a rag and use pliers to loosen the cap in the rear of the faucet’s spout. You can now remove the cap and in the sink’s drain, stuff the rag. Loosen the old diverter using a quarter. Use needle-nose pliers to remove the old diverter alongside its rubber gasket. Around the threads of the newly bought diverter, wrap with a Teflon tape. Cautiously, fit the new diverter in its place and fasten it with the use of a quarter. Remember the rag covering the drain and remove it. Using a protective rag and pliers, fasten the cap over the new diverter. You can now turn on the water to test the working of the sprayer. In summary, we have explored the common kitchen sink sprayer problems and how they can be solved. In most cases, you will realize reduced water pressure whenever there is an issue with the kitchen sink sprayer. A damaged hose, diverter or an aerator is likely to cause this issue. You need to identify the exact cause of the problem and find ways to resolve it. At the end of the day, you will be able to maintain the kitchen sink sprayer and water will flow at the normal pressure. If you like this material, share it with your friends.